Thanks for choosing online membership. Online membership starts immediately upon approval. Your delivery ZIP code is in our home delivery area. Your delivery ZIP code is not in our home delivery area. Your subscription will be mailed to you. 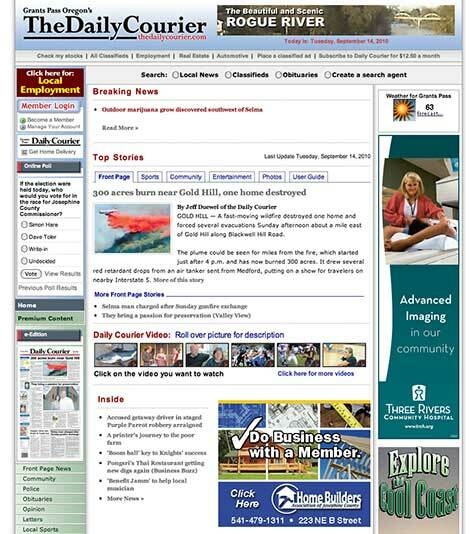 Please call our Circulation Department at 541-474-3702 for EasyPay options. Your credit card will be charged on or about the 24th of each month, beginning Wednesday, April 24th, 2019. You will continue to be billed automatically each month until you cancel the subscription; there is no predetermined expiration date. 6th or 21st of each month (select one).